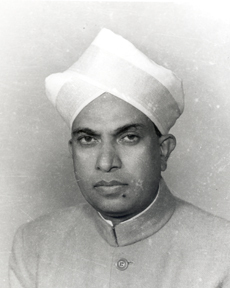 Kengal Hanumanthaiah was born in 1908 in Lakkappanapalli, a village near in Bengaluru. He graduated in Arts from Mysore Maharaja College in 1930 and LLB from Poona Law College in 1932. After the completion of LLB he joined the bar council. During that period, Dr. P Tandon, the then President of Indian National Congress, advised K Hanumanthaiah to give up the practice and devote himself to the freedom struggle. Inspired by Mahatma Gandhi, K Hanumanthaiah pitched himself into the freedom struggle and was imprisoned for more than 9 times. During 1948, K Hanumanthaiah was unanimously elected as the leader of the Congress Parliamentary Party in Mysore. He was sworn in as Mysore’s second Chief Minister.